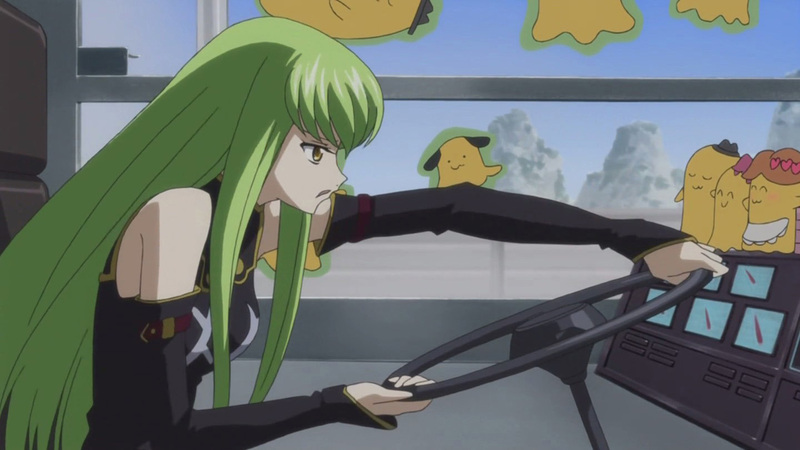 In Code Geass, particularly in the original Japanese version, we can see there was something like a product placement exchanged (as shown in this answer) between the series and Pizza Hut. Later in the series, C.C. starts having stickers and a giant plush of what appears to be Pizza Hut's mascot, named Cheese-kun. 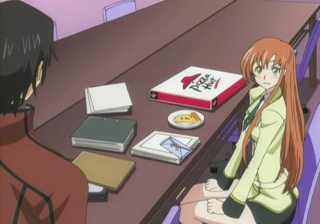 Now, back when Code Geass first appeared in the west, I did not notice Pizza Hut having anything like Cheese-kun in Australia, but then again it appears there was an attempt to remove Pizza Hut references from the series when it was localized in the west. So I am wondering, does Cheese-kun exist in Japan? If so, did it exist before or after Code Geass? 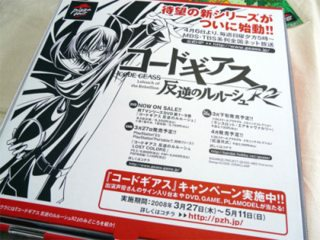 Who created it, the author of Code Geass or Pizza Hut? And does it still represent Pizza Hut now? So I am wondering, does Cheese-kun exist in Japan? If so, did it exist before or after Code Geass? 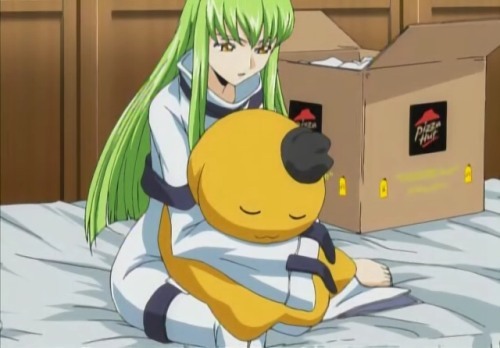 Yes, Cheese-kun exists IRL and predates Code Geass. See, for example, this 13 Aug 2006 Wayback Machine snapshot of a page on Pizza Hut's Japanese website, which includes images of Cheese-kun. And does it still represent Pizza Hut now? The /pizzahut.japan Facebook page (Pizza Hut's official page for Japan) made a post that includes a picture of Cheese-kun just a few hours ago, so I'm going to assume yes. Not the answer you're looking for? Browse other questions tagged culture code-geass japan or ask your own question. Is this purported video showing the ending real or fake? Is the Harbinger of Spring based on a real Japanese legend? Does “Evening Get” correspond to a real-life television show?